Recently, when the Taiwanese smartphone maker came out with M8, a friend of mine wanted to buy it, but he realised he wasn't willing to shell out Rs 49,900 on a smartphone. Hence, I received a frantic phone call from him asking for options. Is there a device in the mid-range smartphone segment, which can give the user that premium feel and at the same time not burn a hole in the pocket? Google Nexus 5 is an option, but someone told me HTC's latest Desire 816 costs even less. The next day, the device came to our workplace for a review. Let me tell you how it fared. 156.6x78.7x7.9mm, if you know your mathematics, you would understand this phone is huge. Desire 816's screen is 5.5 inches, which is only a tad smaller than the Samsung Galaxy Note 3 and HTC One Max (both of which are considered phablets). It might be too big for some, but if you are someone who loves big screens, this is one of the most affordable around. Its plastic back feels very similar to that of the iPhone 5C, though it comes in more muted colours (black, red, blue, and green). 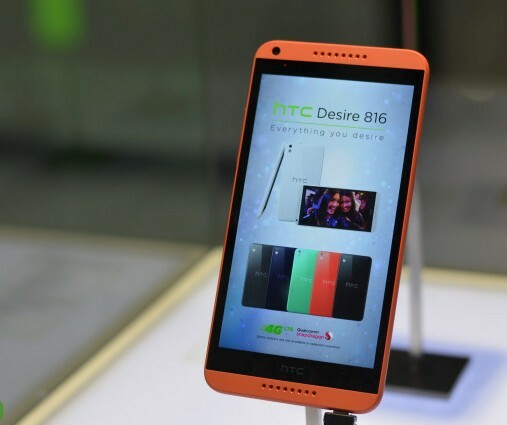 Desire 816 doesn't feel cheap in any way, but is often slippery to hold and is prone to be smeared in fingerprints. Build quality is solid, but don't expect anything near as premium as its stablemate, the HTC One M8. At 165g , the device is not too heavy considering its size. Image: Its plastic back feels very similar to that of the iPhone 5C. Android 4.4.2 comes as standard, and this is overlaid with HTC Sense 6.0. These are the latest versions of both, and the same as seen on the HTC One M8. As such, they have a few bells and whistles. Android 4.4.2 combines texts and IM into an app called Hangouts, and you can look at business phone numbers straight from your phone book, without having to Google them. Sense 6.0, meanwhile, is cleaner and less obtrusive than its previous versions. Blinkfeed is basically a news feed that looks a bit like Windows Phone's live tiles, while HTC Zoe turns your snaps into mini photo montages. If you buy this device, you're getting most of the same software as the HTC One M8 -- barring some camera features and gesture controls -- but with a bigger screen and for less than half the price of M8. 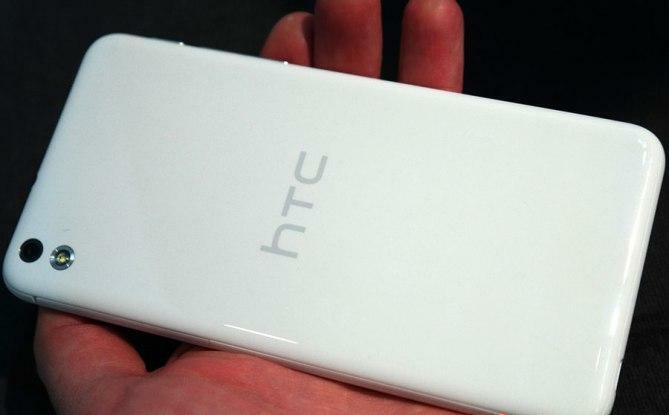 Obviously, it's on the hardware side of things that HTC has made some concessions. Image: Android 4.4.2 comes as standard, and this is overlaid with HTC Sense 6.0. The 5.5-inch screen has a resolution of 1,280x720 pixels, giving it a pixel-per-inch count of 267ppi. That's nowhere near the iPhonen 5S's and iPhone 5C's 326ppi, or the Nexus 5's stonking 445ppi. The pictures we took look a little grainy. But its camera is fine for everyday use. And the viewing angles are excellent - get a group of people gathered around and everyone will be able to see what's on screen. This is, of course, helped by the gargantuan size of the screen. The 13-megapixel snapper gives more detailed photos than the HTC One (M8)'s ultrapixel model, but it doesn't perform as well in low light. The images have quite a lot of noise, which is the price you pay for buying a cheaper handset. After using the M8, the Desire 816's shutter does seem a bit slow. But maybe we have been spoiled. The camera does have a selfie mode, though, so you won't have to pose in front of a mirror for your vanity shots. The front-facer is a 5-megapixel one; so, which essentially gives you a clear picture with no hazy corners. 1,080p video recording is the order of the day. Footage is smooth, but you would notice some loss of detail in low light. The presence of a microSD card slot, is something that makes us happy. It would help you to fit hours of videos and photos on the phone. Image: The 5.5-inch screen has a resolution of 1,280x720 pixels. The HTC Desire 816 lasted us a full day with fairly heavy usage. Its battery isn't as hefty as that in the Samsung Galaxy Note 3 or LG G Pro 2, but it's fine as long as you're not completely draining it with heavy usage. Like the Samsung Galaxy S5, there's a power saving mode too, which should help if things get really bad. 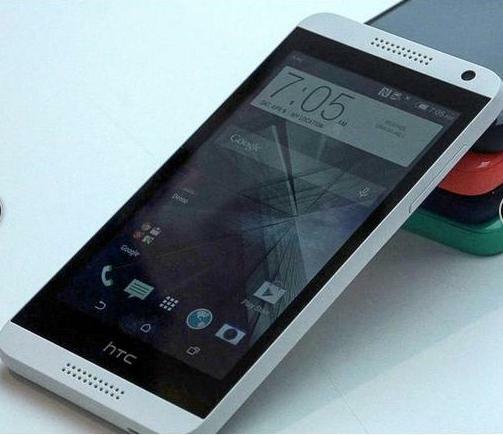 HTC Desire 816 get a thumbs up from our side. If you can sacrifice a few features and are prepared to forego top-end performance, but still want a big screen, this phone is a real contender for Rs 23,999. It might be worth waiting to try the OnePlus One, likely to be launched in June. But as it stands, 816 a front-runner for the best big screen beast at this price. Image: Its battery isn't as hefty as that in the Samsung Galaxy Note 3 or LG G Pro 2.